The EMI Emergency Medical Immobilizer Splint is a flexible foam padded splint with multiple applications. A thin core of aluminum alloy sandwiched between two layers of foam makes it extremely pliable. It can be molded, folded and shaped to any desired configuration to support fractures and injured limbs. 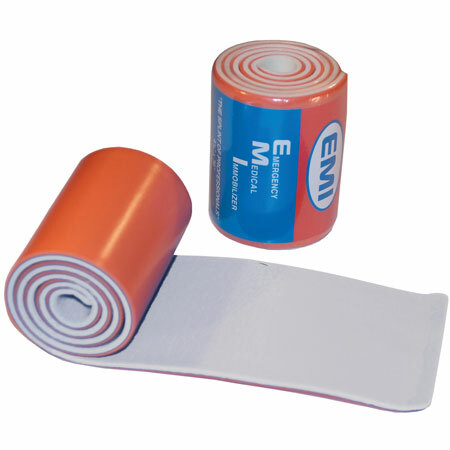 The EMI Splint is reusable, lightweight, waterproof and radiolucent. It's highly visible orange color cuts easily with shears and is not affected by extreme temperatures. UNROLLED DIMENSIONS: 4.25" x 36.00"